For those who might have missed out, I thought I’d collate into one post all the audio from John Lennox’s recent visit. You’ll notice that there is a common theme to most of the talks — however, given the Canterbury earthquake and the need to address the serious issues that came out of it, I think this is understandable. Howick Baptist Sunday morning service (27 Feb) – Why? Considering the Goodness and Sovereignty of God in the Midst of Suffering (video here). 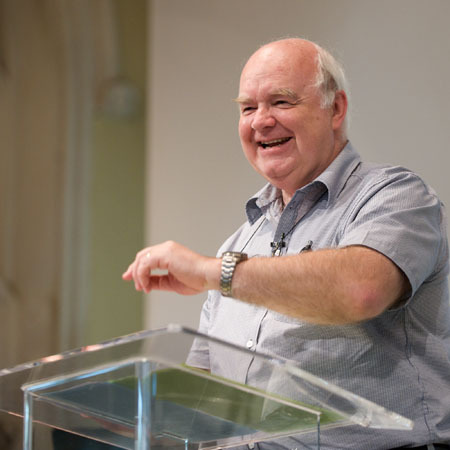 Greenlane Christian Center evening service (27 Feb) – A Conversation with John Lennox about the Christchurch earthquake (includes Q and A). Professor John is one of my favorite personality in the face of the world today. Thank you so much for the post, I love it…I am very encourage hearing Professor John addressing the issues, and great interview too. I thoroughly enjoyed meeting and listening to John Lennox when he last visited NZ and I also enjoyed watching on You tube the Oxford debate Lennox had with Richard Dawkins.